British Cycling has confirmed that its first-ever national eSports cycling race will be broadcast live on BT Sport on Thursday 28 March. The likes of Olympic gold medallist Dani Rowe, Ian Bibby, Rosamund Bradbury, Jon Mould and Stevie Young were invited to race in the finals after placing in the top 10 of their respective gender categories in an online qualifying event late in February. Finalists will head to BT Sport Studios in London to compete to be crowned national champion of the British Cycling Zwift eRacing Championships. The championships mark a UK first. According to British Cycling, the event also demonstrates the expansion of elite level competitive sport into the fast-growing eSports scene. 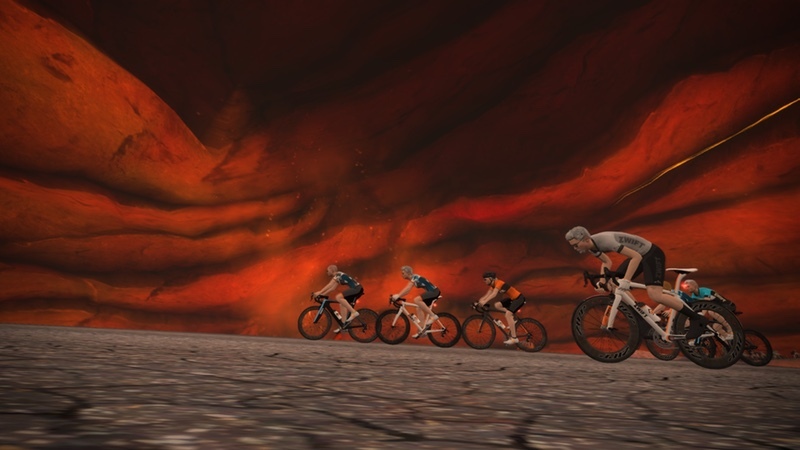 Delivered in partnership with Zwift, the racing for the multi-event finals – which comprise of an elimination race, points race and scratch race for both men and women – begins at 13:55 GMT next Thursday afternoon. Global fitness technology brand, Wahoo, will be the eRacing championships’ official race partner for the final and the sponsor of possibly deciding race of the day – the Wahoo Scratch Race. Offering a range of indoor bike trainers, heart rate monitors and other connected fitness devices, Wahoo will provide all finalists with KICKR smart trainers and KICKR HEADWIND smart fans to keep riders cool throughout the evening’s racing. Jonathan Rigby, British Cycling Commercial Director, said “We had nearly 400 people on the virtual start line and thousands more tuning into our online qualifying event back in February. We are looking forward to building on those brilliant numbers to see what our finalists can bring to London on 28 March. This race is one for those who like their races short, sweet and full of tactics over five laps, plus a lead in. Just as the name suggests, but with a slightly more brutal twist, the last two riders to cross the finish line every lap of the 2.8km LaGuardia Loop on Zwift are eliminated, before a head-to-head battle between the final two racers determines the victor and winner of the full 10 points on offer. Each pairing will battle it out for a reward of 10 or nine points (eliminated last), eight or seven points (eliminated fourth), six or five points (eliminated third), four or three points (eliminated second), two points or one point (eliminated first). Riders will tackle three laps, plus a lead in, of the 4.1km Zwift Volcano Circuit CCW for this bunch race. And, as the race name suggests, it is all about points. Each time the riders cross the sprint line (after the lead in), the first four will be awarded five, three, two and one points respectively. Those points are doubled for the all-important final lap. Quick maths is needed to determine the winner of this one – whoever accumulates the most points is victorious. The first to cross the finish line in Zwift’s Watopia Hilly Route takes the win in the Wahoo Scratch Race. Riders will complete two laps of the 9.1km route, with tactics put into play from the outset – some may attempt to breakaway early while others will work hard to prevent stronger riders from escaping, to force a bunch sprint at the end. Eric Min, Zwift CEO and Co-Founder, said “We’re just at the very beginning of forming a new discipline of cycling and I can’t wait to see these 20 athletes go head to head in the live finals of the British Cycling eRacing Championships. First place – a championship jersey plus a virtual championship jersey that may be worn in-game for a year and £400 in prize money. Fans can watch digital coverage of the men’s and women’s elimination race and points race on Thursday 28 March between 13:55 and 17:30 GMT with all the action streamed on British Cycling’s Facebook page and website. The concluding races and medal ceremonies will be broadcast live on BT Sport 1 and streamed on British Cycling’s Facebook page and website between 20:00 and 22:00.